FINALLY REVEALED - THE MOST POWERFUL FORM OF WHITE MAGICK KNOWN TO MAN! Angels are all around us, and it has been this case since The Creation itself. Viewed by the masses as the supreme messengers of God, but by those who hold the Secret Keys of working with these powerful beings, the ultimate Magickal Forces to better their lives. From times predating the Medieval period, there have been constant reports of those who know how to call, charge and use the Angelic Forces. Such is the beneficial power which can be bestowed by these awe-inspiring beings, that Grimoire after Grimoire has provided hints and slight instruction to manifest the powers used by the few. Make no mistake - Angelic beings are very real ,but be under no illusion, either - these Holy Forces are certainly NOT all light and beatific mercy. The forces wielded by the Angel Workers are, insome cases frighteningly powerful, and - to the unwary - carry serious danger. Daniel White is a scholar of Holy Magick - the powers which stem from the source of the Divine itself. Over several decades, White has carefully and methodically worked with some of the most awesome forces of creation itself, documenting his experiences and the Keys which have provided safe and effective access to these currents. He has taken the risks, so that the average person may also benefit from his work. Now, available for the first time, we can present White's system of Angelic Magick in its refined form. Simple to use, and completely safe, the rites contained within this book will give YOU access to the realms of REAL Angelic beings - beings that have it within their power to CHANGE YOUR LIFE FOR THE BETTER! Whatever you seek, there is an Angelic Force within this extraordinary book, who can bring your desires to pass; Love, Money, Confidence, Peace-of-Mind, Improved Health - all can be directly influenced through direct contact with the Angelic realms that White provides you access to. 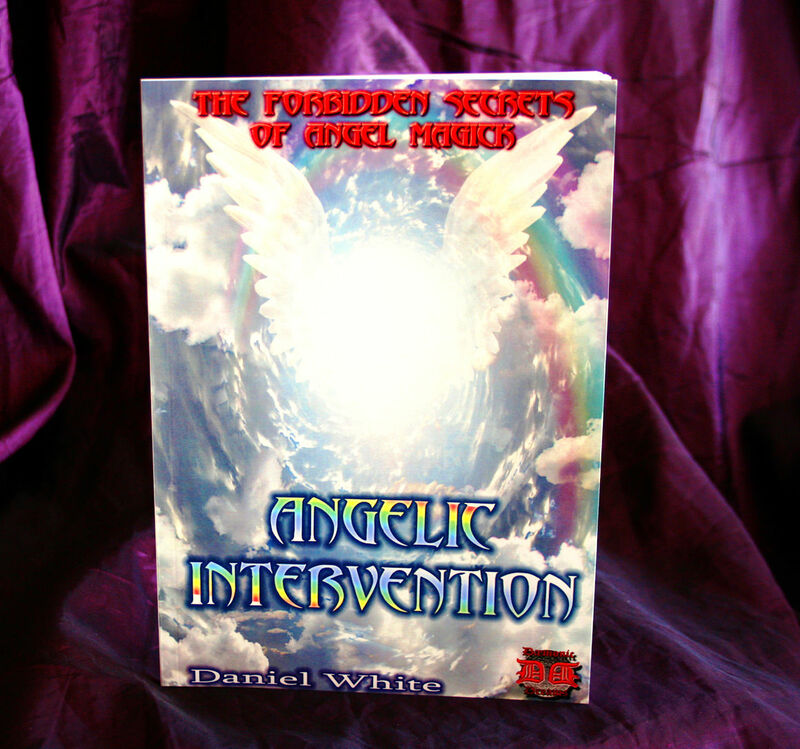 Complete with all of the tables, Angelic Names and Invocations, ANGELIC INTERVENTION is finally at your fingertips... You have only to open the cover.